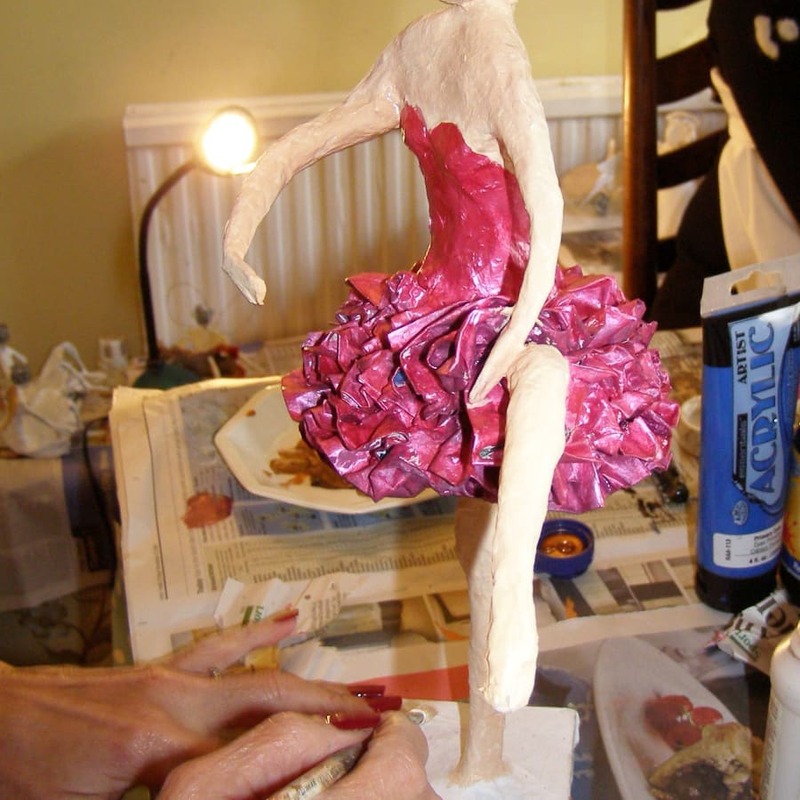 Learn to design a papier mache sculpture and turn your design into a 3D creation. Many people love the idea of papier mache but just dont know where to start. Let Anita share her 18 years of experience and unique creativity to help you find your own creative flair. 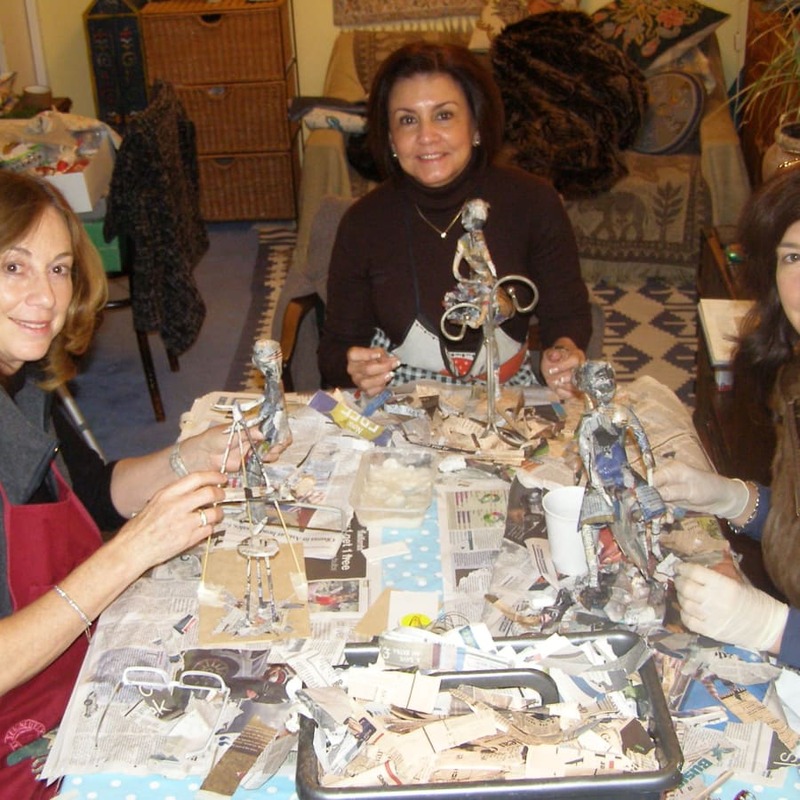 Anita is an experienced Papier Mache Designer who has exhibited over many years and she will enable you to learn how to create and choose a design. Anita will help you bring your own idea to life or she has many reference materials and several dozen books to choose your idea from. You will learn how to transfer your design into a 3D base shape using wire, card and other recycled material. You will then learn how to make your own flour and water organic glue and use this to add three layers of papier mache. This will then need to dry (usually takes around 3 days). Ongoing lessons are available for finishing and paint techniques or you can finish at home. Workshops take place in her colourful indoor studio where her art surrounds the large oak table overlooking the garden. On sunny days workshops are set in her beautiful garden. Please look through the images to see the creations that students have made within two to three sessions. However, normally, a base model can be made in one session. Anita created a 26 inch Alistair Darling moneybox for channel 4 which was used for their TV coverage of the budget. 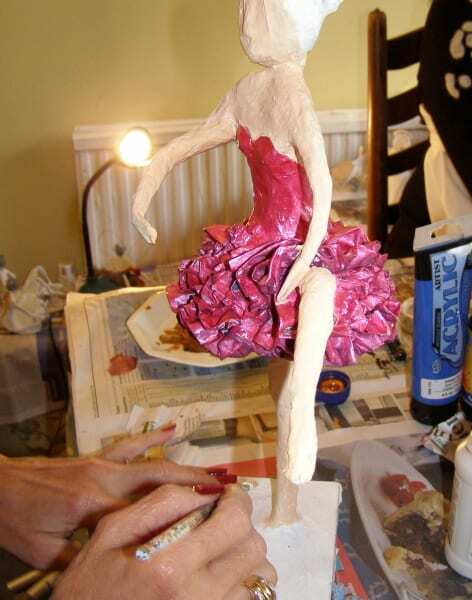 Anita took up Papier Mache in 2000, learning at RACC with a tutor who had learnt from the famous Linares family in Mexico. Their form of Papier Mache sculpture is unique as it is very creative, expressive and full of imagination. 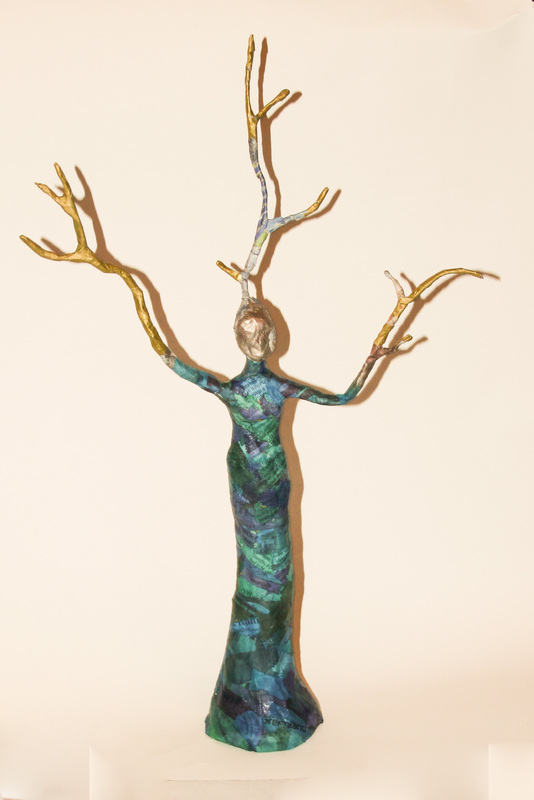 She adapted the technique to suit her own style and has had many commissions, including an Alastair Darling sculpture commissioned by Channel 4. She has been giving workshops in the art in her bijou cottage for 16 years. Classes are small and intimate with refreshments and lots of creativity and laughter. Surrounded by her colourful art, students are inspired by her energy and patience. Fifteen years working with special needs teens in a mainstream school has inspired her to believe everyone can unleash their hidden creativity. Students have found the atmosphere huge fun and are always inspired by Anita's positive energy and creativity.